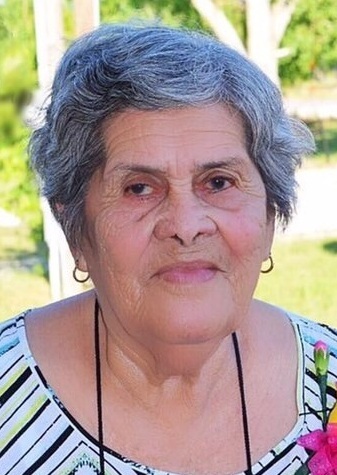 Chico ~ Teresa D Unate De Fraga, 87, went to be with our Lord Monday, November 5, 2018 in Chico. Visitation is 6-8 p.m. with Rosary at 7 p.m. Thursday at Hawkins Funeral Home in Decatur. Teresa was born on October 15, 1931 to Antonio and Maria (De Los Angeles Valdez) Unate in Zarogoza, Coahuila, Mexico. She was united in marriage to Modesto Fraga Macias in 1951 in Zarogoza, Mexico. She was preceded in death by her parents; her husband; her daughter and son; 4 brothers and 2 sisters. Those left behind to cherish her memory are her daughters, Elda Valdez and husband Rejinaldo of Decatur, Maria Olivarez of Chico, Rebeca Fraga and husband Pedro of Mexico, Nidia Fraga of Mexico; her sons, Enrique Fraga and wife Norma of Decatur, Modesto Fraga and wife Nelda of Mexico, Ramiro Fraga and wife Maria Elena of Alvord, Julio Fraga and wife Esmeralda of Decatur, Fernando Fraga Unate of Decatur; 24 grandchildren; 39 great grandchildren; 5 great great grandchildren; her sister, Angelita Mendoza; her brothers, Jose Unate, and Heriberto Unate; numerous nieces, nephews, and a host of friends.